Finding a certified Pretoria-based company that can undertake your home or office site clean ups is a must. As one of the most competent rubble removal in Pretoria Central West, we offer you a range of services at an affordable cost. With our team of highly trained rubble professionals who are equipped with the very best tools for the job, we have what it takes to take on your commercial, residential or industrial rubbish removals to very best of your expectations. We are always available for our clients and you can get in touch for a quotation by contacting us on 012 004 1846 for a quick chat. To ensure that our field agents report to the scene wielding the right tools for the job hence reducing time wastage and redundant trips between the site of work and our warehouse. 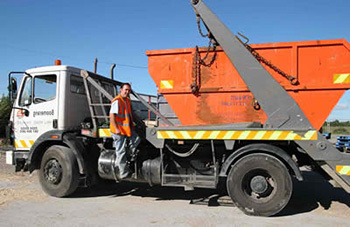 Other than handling junk removals, our Central West team also supplies tipper truck hire services that are available for garden clear ups as well as waste removals. This makes us one of the most compact and flexible solution for all your rubble removal needs. For efficient junk clearance and site clean ups call us today on 012 004 1846.